As Minecraft Moms and Dads know, lots of kids are interested in installing Minecraft “mods.” Mods are downloadable programs made by other players that change the way the game looks or acts. Changes might include new content that alters the setting (like a mod that turns the game into a dungeon crawler) or the types of creatures in the game. A mod might introduce new game mechanics that allow players to do things like create incredible machines or visit outer space. Mods differ in quality. Some are really well designed, while others are buggy, and vary in the demands they will place on your computer’s CPU. Graphics intensive mods may demand a lot and slow down your computer as a result, for example. Because of this variability it’s important to learn as much as you can about a mod before downloading it. As a parent you’ll want kid-friendly Minecraft mods that are download safe and the right fit for your computer. If this sounds like a heavy lift, you’re right — it can be. But there are a lot of good resources to help you learn the ropes, including this one. Here I’ll explain where to look and what to look for. And I’ll recommend 10 Minecraft mods that are kid-friendly, well designed, and full of learning potential. Finding kid-friendly Minecraft mods is mostly a matter of choosing ones that are age-appropriate and no more violent than vanilla Minecraft. You’ll want to look for mods that appeal to kids’ and encourage creativity and learning. This includes mods like the Pixelmon Mod, which brings Pokémon into Minecraft, or a mod like PaleoCraft, which introduces scientifically accurate yet charming dinosaurs into the game. You’ll also want to make sure that the community of players supporting, commenting on, and creating YouTube videos about the mod are family-friendly. A mod like Grand Theft Auto Minecraft has a community you probably don’t want your kid hanging out in, with some correspondingly non-kid-friendly YouTube videos. But you know your kid best — look for mod communities that inspire your child to learn and play, and that meet your standards for kid-friendliness! Downloading third party software always comes with some risk to your computer. Bec Oakley at MineMum has a really great tutorial on How to Spot Fake or Misleading Download Links. But if you want to keep things simple, either go to the source of the mod (the website of the gamer who made the mod) to download it, or use a trusted online game portal like Curse. Curse displays stats for all of the mods they host, including number of downloads, number of likes, and information on any updates that have been made to the mod. In general, if a mod is well downloaded and has a lot of likes and comments, it should be safe to download and install on your machine. Now that you know what to look for you’re ready to move on to installing mods. 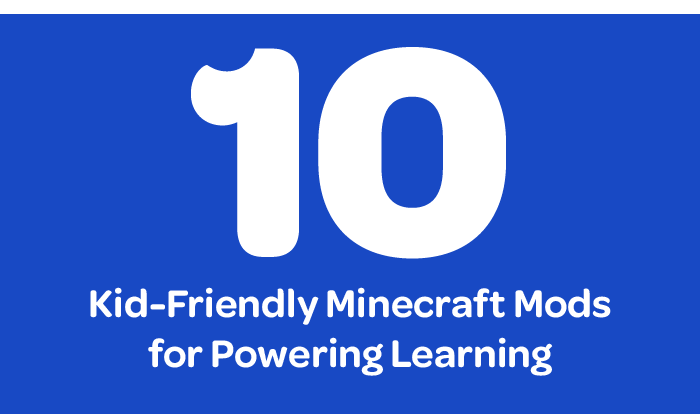 Use this resource from Professor Minecraft to learn how to do it. If you have a computer made in the last 2–3 years, your computer should be able to run most Minecraft mods. The key is making sure that you have enough memory and processing power to run the mod smoothly. If your child is interested in some of the more graphic intensive mods, like Minecraft shaders, you can always invest in a better graphics card or more memory. Here are a couple of rules of thumb: any computer with 8GB of RAM should handle most mods well. And if you want the smoothest game play, run Minecraft on its own. Close all other apps, including your browser. Here are 10 kid-friendly Minecraft mods I think are pretty great, from both a design and learning perspective. The list includes sciency mods focused on geology or forestry, and mods that will amplify your child’s engineering, coding, and building super powers. Each of the sciency mods tackles scientific concepts in cool and accessible ways. I’ve also included a couple of mods that bring new kinds of creatures into the game, including Pokémon and sharks. 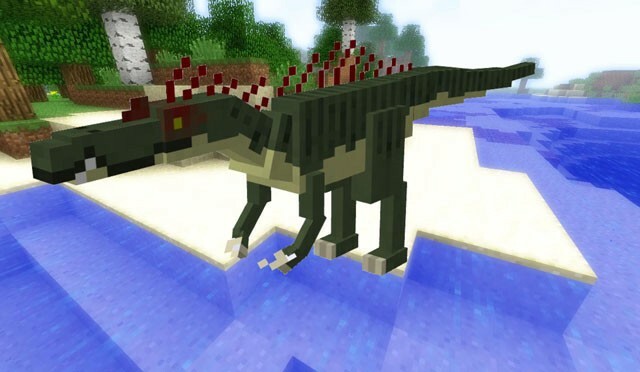 Another populates Minecraft with scientifically accurate models of dinosaurs. All will offer your child new ways of interacting with a world they love — Minecraft. Minecraft with dinosaurs is pretty rad. This mod replaces all the animal life in vanilla Minecraft with the reptilian variety of creature, including giant prehistoric sharks. The mod’s claim to fame is its scientific accuracy. Dinosaurs come in all sizes and demeanor. Some are docile and tameable; others are aggressive and deadly. Download the PaleoCraft mod here. Click here to see PaleoCraft in action. Calling all aspiring astronauts! Log into Minecraft, collect the materials you need to build a rocket ship and blast through the Earth’s atmosphere. Once in outer space you can travel to a bunch of different planets, build a station station, and drive around on the Moon. This mod brings space exploration to Minecraft, giving players a taste of just how hard it is to survive outside of Earth. 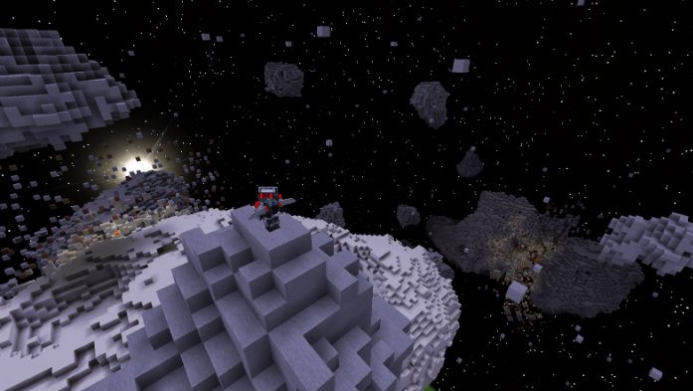 Download the Galacticraft mod here. 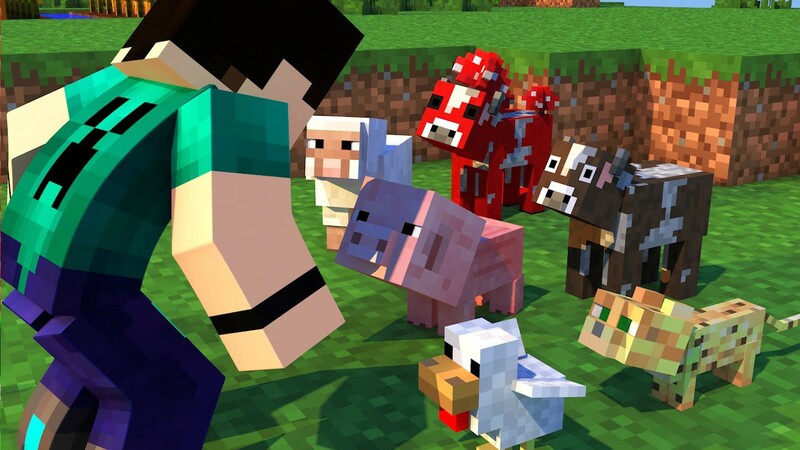 Learning to code in Minecraft sounds like a dream come true for many 10–13 year olds. 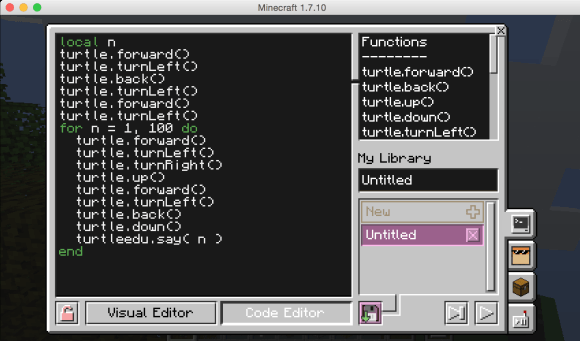 ComputerCraftEDU makes this dream a reality by giving kids the tools to build in-game computers and turtle robots. Using a drag and drop interface they can create programs to automate their machines using the Lua programming language. The mod is easy to install and use and is accessible to kids who’ve never programmed before. We use it in our online coding camps and recommend it to any parent whose child expresses an interest in learning to code. Download the ComputerCraftEDU mod here. This mod populates Minecraft with a multitude of new species and creature types, making the world feel more vibrant and realistic. 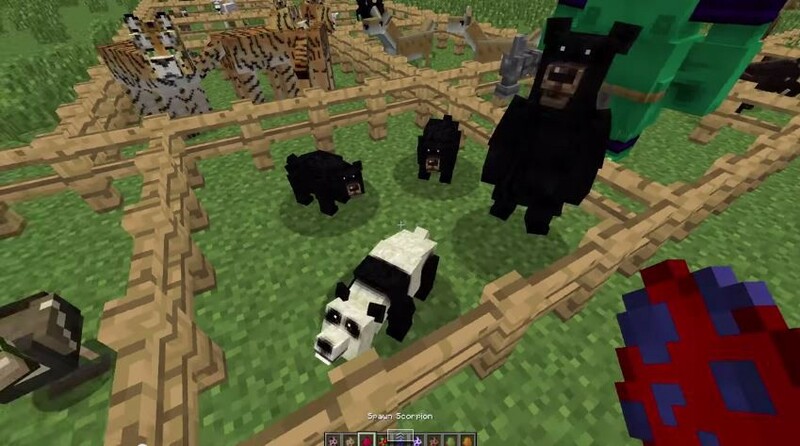 Early versions of Minecraft had only a few stock animals. While more have been added since, the game lacks real variety when it comes to its creatures. The Mo’ Creatures Mod remedies this, giving players the chance to ride, ranch, pet, and manage foxes, scorpions, jellyfish, goats, boars, komodo dragons, and more. Download the Mo’ Creatures Mod here. If your child has played around with redstone and is itching for more, Redpower 2 is a mod worth a look. 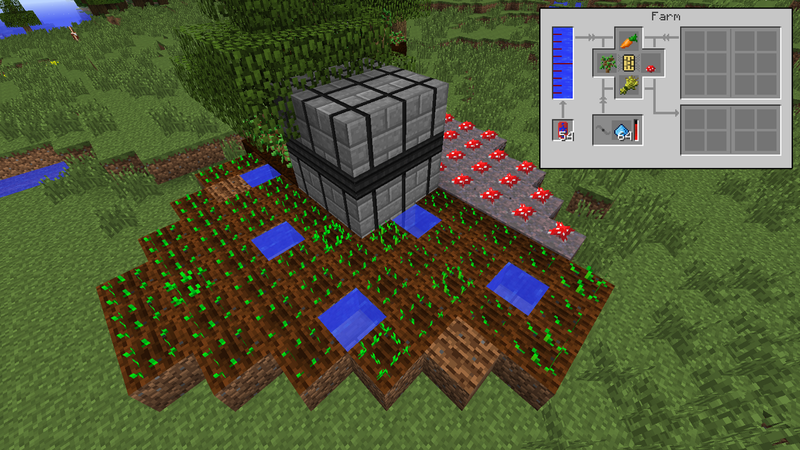 The mod expands and improves on the functionality of redstone in Minecraft, allowing for more complex and compact circuit designs. You will be amazed at what can be created! The mod has its own power system and introduces multiple machines with functions as diverse as sorting items, breaking blocks, and detecting state changes. Download the Redpower 2 mod here. BetterGeo is all about rocks, minerals and metal. A group from the Geological Survey of Sweden developed the mod, which adds both common and rare earth elements to the list of materials to be mined. There are new items you can craft (including rechargeable batteries!) and you can build display cases to show off the rare specimens you mine. Download the BeterGeo mod here. If your child loves to build complex machinery or is interested in what goes on “under the hood” then this is the mod to choose. 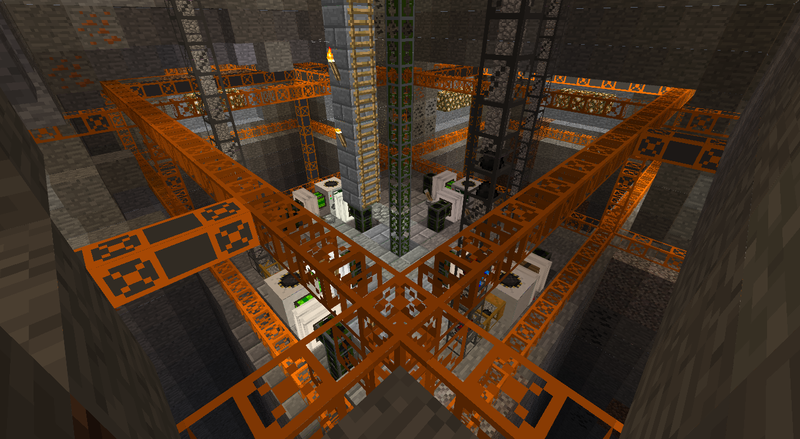 BuildCraft 3 lets players experiment with a system of powered machines, pumps and tools. 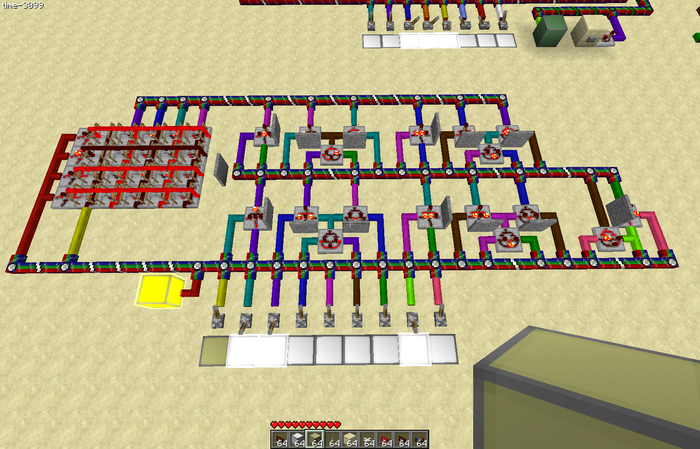 It also includes machines for automating tasks, and pipes for transportation of items, liquids, and energy. Download the Buildcraft 3 mod here. To give you a sense of how Buildcraft 3 works, watch this video tutorial on Buildcraft’s Transport Pipes. Forestry is a mod all about farming and renewable energy production that also let’s you breed trees, bees, and butterflies. How cool is that? 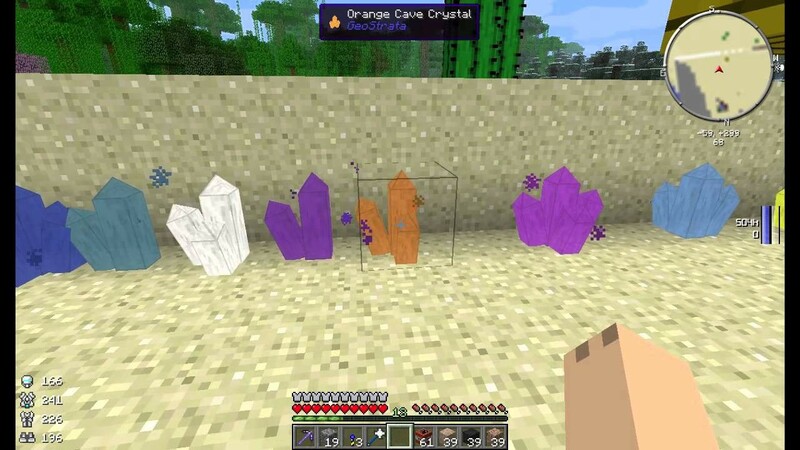 It is a large mod that introduces a lot of new items, machines, and ores into the game so there is a lot to explore. You can learn more in this video tutorial or download the Forestry mod here. This is probably the cutest and most ambitious mod on the list. 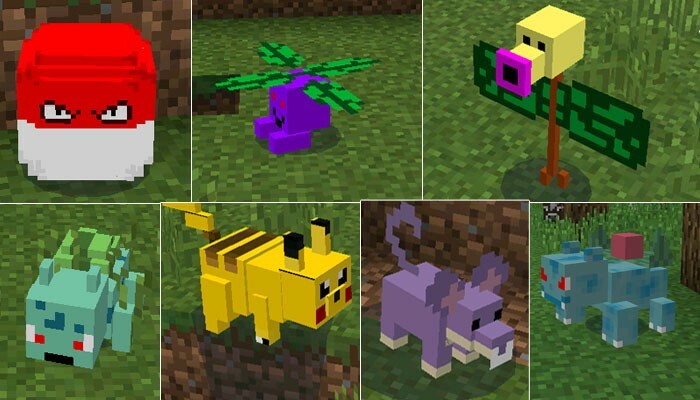 Pixelmon Mod turns Minecraft into a Pokémon adventure, complete with Pokémon battling, trading, and breeding. In order to battle players must purchase or craft Pokéballs, which can then be thrown at enemies. Kids literate in the world of Pokémon will take to this mod like fish to water. Download the Pixelmon Mod here. GeoStrata is another geology mod with a super science focus. If focuses on letting players create underground worlds, making mining and caves more interesting. The mod generates all of the rocks to be mined at realistic depths, in realistic biomes. 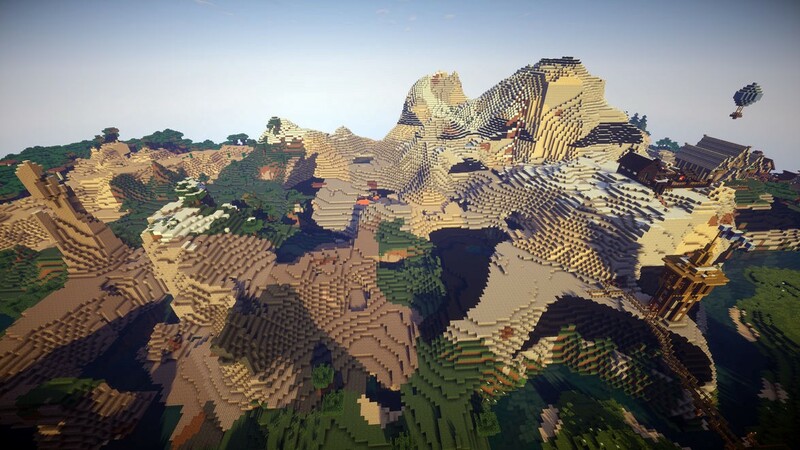 For example, shale and limestone, being silt/mud rocks, spawn more often in oceans, and cannot spawn in deserts. Download the Geostrata mod here. If you’re a Minecraft parent with a child interested in creating their own mods, click here to check out Minecraft Wiki’s page on Mods/Creating Mods. While heavy on the lingo, it is a great resource for the aspiring modder. Or check out MCreator, free mod-making software that is both easy-to-use and great for first time modders. You can read our review of MCreator here. The modding community tends to be very friendly and supportive. 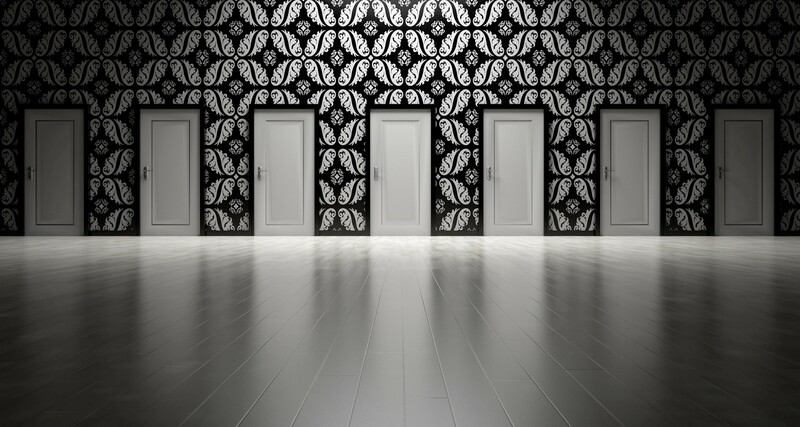 It can offer aspiring coders and game designers the resources they need to hone their craft. Playing mods is a great first step toward becoming a talented modder! Professor, Informatics UC Irvine. Co-founder and Chief Designer, Connected Camps. Connected Parenting is a resource for parents who want the Internet and online games to be a force for good in the lives of their kids. We offer practical tips, expert perspectives, and parenting stories to help families reach their full potential in today’s connected world.